How does YardMax mode work? 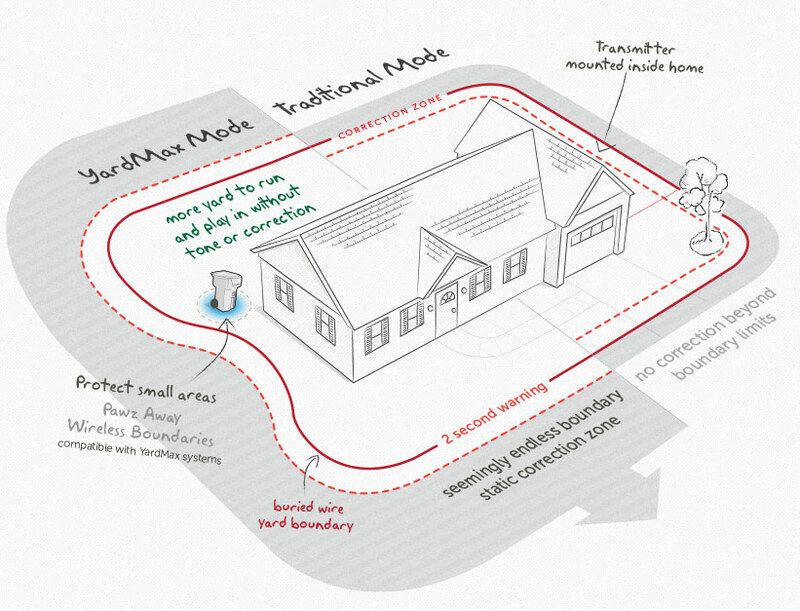 In Traditional Mode, YardMax layouts are the same as other in-ground fences. In YardMax Mode, the Warning Zone begins on the other side of the boundary, so your pet gets to enjoy more of your yard! The Boundary Zone continues past the Warning Zone indefinitely. Your pet can't run through the Boundary Zone. He will receive corrections from his collar until he returns to the Pet Area. This helps your pet learn that he's only allowed in the yard. Over-Correction Protection means your pet won't be corrected for more than 15 seconds. How often do I need to charge the Receiver Collar battery? Each charge can last up to 3 months depending on frequency of use. The indicator light will flash red every 4 seconds when the battery needs to be charged. If my pet leaves the Pet Area, how long will he be corrected? Your pet will receive Static Correction for up to 15 seconds as long as he is outside the Pet Area. The Receiver Collar has a safety time-out to stop correcting and toning after 15 seconds until your pet returns to the Pet Area. The fence is designed to recognize power outages and shuts down without activating the Receiver Collar. Your pet will no longer be contained; keep your pet inside or use another containment method until the power returns. In a dry, well ventilated, protected area. Where temperatures do not fall below freezing. At least 3 feet from large metal objects or appliances, as these items may interfere with the signal consistency. 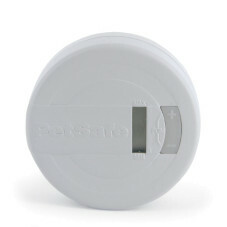 In an easily accessible location so you can hear and respond to alarms. Remove the mounting plate from the back of the transmitter by lightly depressing the dot on the top tab and sliding the plate down. Using the screws provided, mount the plate to the wall within 5 feet of a standard grounded 3-prong outlet. Slide the Fence Transmitter over the mounting bracket. Once you have mounted the Fence Transmitter, the Boundary Wire must exit the building. This can be accomplished via a window or through a hole drilled through the wall. Ensure the drill path is clear of any utilities. Make sure the Boundary Wire is not cut off or pinched by a window, door, or garage door, as this can damage it over time. To prevent fires and electrical hazards, install the Fence Transmitter in buildings that are in accordance with state and local electrical codes. Lift the rubber cover protecting the Receiver Charging Jack. Connect the Receiver Collar Charger connector to the Receiver Charging Jack. Note: The connector only fits one way, do not force it into the Charging Jack. 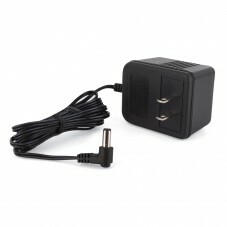 Plug the Receiver Collar Charger into a standard AC wall outlet. The Receiver Collar light will glow red when the charger is properly seated and charging. Charge the Receiver Collar for 2-3 hours. The light will turn green when charging is complete. 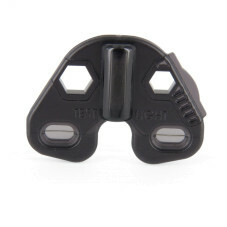 A built in safety circuit prevents the Receiver Collar from overcharging. After charging, replace the rubber cover to protect the Receiving Charging Jack. Each charge can last up to three months depending on frequency of use. Boundary Wire MUST start at the Fence Transmitter and make a continuous loop back. Twisting the Boundary Wire cancels the signal and allows your pet to cross over that area without correction. Plastic or metal piping will not cancel the signal. Twist the Boundary Wire 10 to 12 times per foot to cancel the signal. Design a layout that is suitable for your yard. Sample layouts and a grid for designing your layout are provided in your manual. Always use gradual turns at the corners with a minimum of 3 foot radius to produce a more consistent boundary. Do not use sharp turns, as this will cause gaps in your boundary. Avoid making passageways too narrow for your pet to move about freely (e.g., along the sides of a house). For your pet’s protection, we recommend setting a Field Width for the Warning and Static Correction Zones to approximately 16 - 24 feet (8 - 12 feet on each side of the wire). The Receiver Collar can be activated inside the house if the Boundary Wire runs along the outside wall of the house. If this occurs, remove your pet’s Receiver Collar before bringing him inside, decrease the range using the Boundary Width Control, or consider an alternate layout. If you must cross underground utilities or buried cables with the boundary wire, do so at a 90-degree angle (perpendicularly). If you have a neighbor with a containment system, keep the boundary wires of your systems at least 10 feet apart. 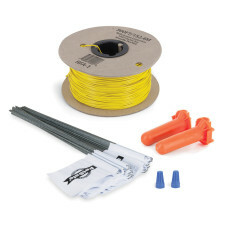 It may help to talk to your neighbor about the location of their boundary wire in their yard. If separating the wire by at least 10 feet from a neighboring containment systems wire does not reduce the inconsistent signal, contact our Customer Care Center. NOTE: If your splice pulls loose, the entire system will fail. Make sure your splice is secure. Your Receiver Collar comes with short Contact Points installed. 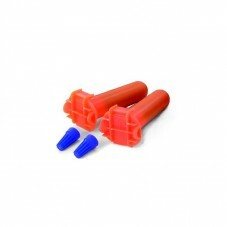 Use the long Contact Points for pets with long or thick hair. Tighten the Contact Points using the Contact Point Wrench . Check the tightness weekly. Press and hold the Mode Button for 1 second (3B). The green or yellow or red Receiver Indicator Light will turn ON for 5 seconds to indicate battery status, followed by the red Receiver Indicator Light flashing the Static Correction Level. Press and hold the Mode Button continuously for 5 seconds. The red Receiver Indicator Light will be ON during this time. The red Receiver Indicator Light will then turn OFF and all Receiver Indicator Lights will stay OFF indicating that the unit is turned OFF. To extend the time between charging the Receiver Collar, consider turning OFF the Receiver Collar when it is not in use. Receiver Collar Status Indicators The Receiver Collar Status Indicator Light along with the alarm tones are used to determine the operational mode, the battery status, and the correction type. Refer to the Receiver Collar Status Indicator Table below to understand the status lights and tones for the Receiver Collar. During normal operation, the Receiver Collar Indicator Light will flash every 4 seconds to indicate the battery status as shown in the table below. The Static Correction levels increase in strength from 1 to 6. Refer to the table below to choose the Static Correction that best fits your dog. The Receiver Collar will emit a Warning Tone whenever your dog enters the Warning Zone, no matter what correction level is selected. If your dog continues into the Static Correction Zone, and the Receiver Collar is set to level 2 or above, your dog will receive a correction. Press the Mode Button and release when the Receiver Indicator Light illuminates Red. The Receiver Indicator Light will emit a series of Red Flashes representing the Static Correction Level. Increase the Static Correction Level by pressing and releasing the Mode Button within 5 seconds of the previous series of flashes. 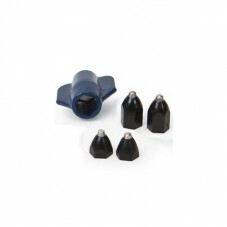 ReadyTest ® gives you added confidence that the Receiver Collar is working and ready to use. When you remove the Receiver Collar from the charger, the receiver will automatically go into self-test mode for approximately 8 seconds. The receiver’s internal diagnostics will check that the battery charge is full and that all circuits are working correctly. Do not touch the Contact Points while the receiver is in test mode. When the collar is removed from the charger, the indicator light will go off and then come back on. The light will first glow red for three seconds, then go off. The indicator light will come back on for five seconds to indicate the status of the battery (green, yellow or red). The ReadyTest ™ is complete once you see the battery indicator status. If the Receiver Collar beeps and the indicator light glows solid red for 20 seconds, the ReadyTest ® self-test has failed. Replace the Receiver Collar in the charger for 5 seconds and then remove. Do not touch the Contact Points. 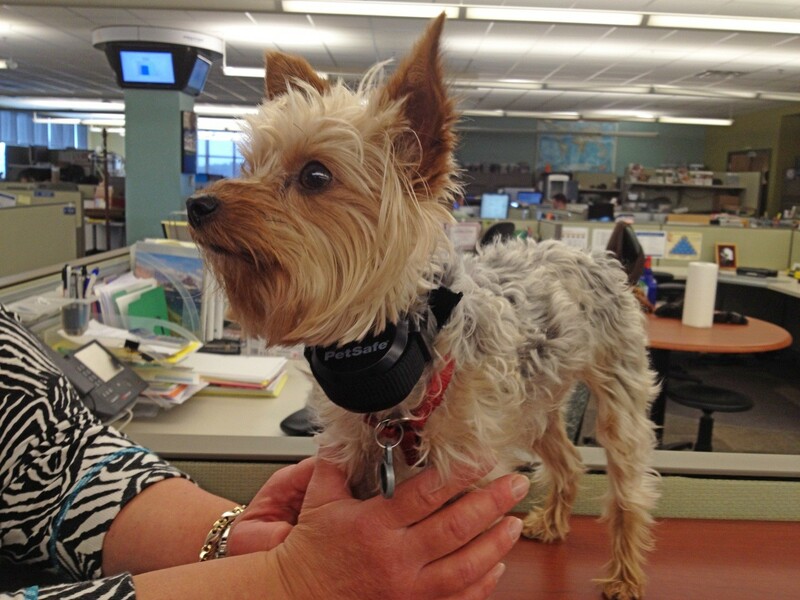 If the Receiver Collar continues to fail the ReadyTest ® , call the Customer Care Center. This test is an added feature to verify fit but is not required for the system to function. 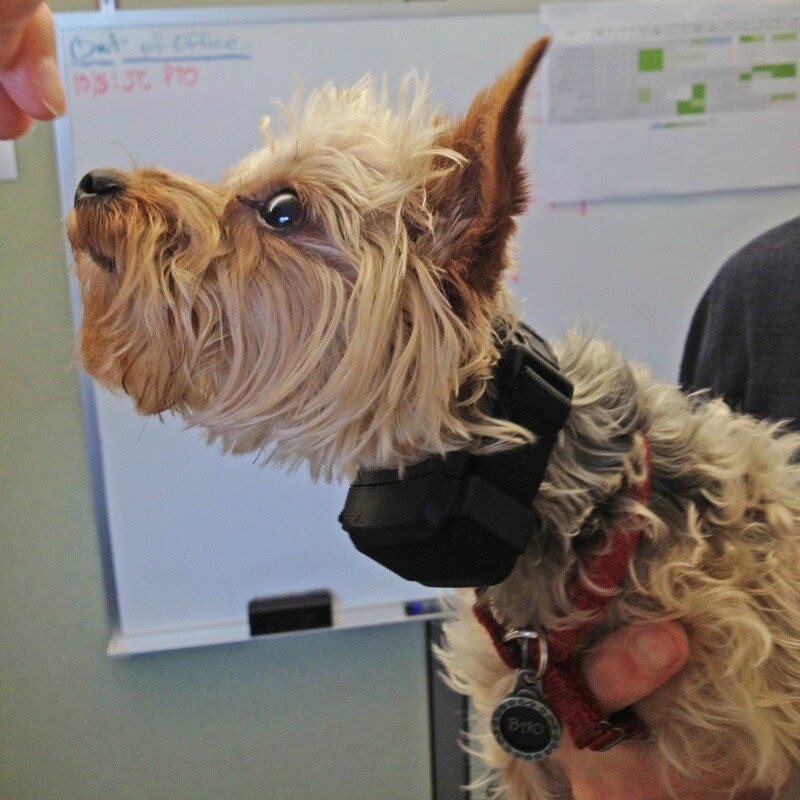 After the ReadyTest ® , the Receiver Collar will go into PerfectFit ™ test mode. This mode begins with a flashing yellow light. To use this feature, you must place the Receiver Collar on your dog within 90 seconds of removing it from the Collar Charger. 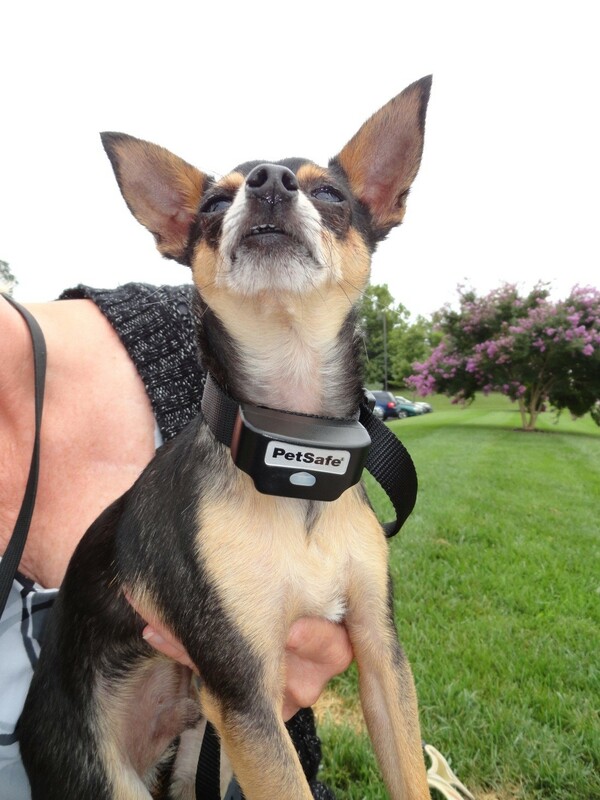 The Receiver Collar will emit a chime tone as the Contact Points touch your dog’s skin. You will know you have the proper fit when the collar chimes and flashes green 5 consecutive times. After 90 seconds, the Receiver Collar moves into normal operation mode. 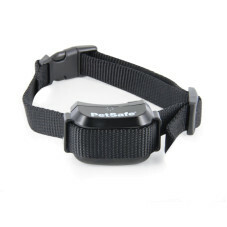 The Receiver Collar will still function normally if you are unable to place the Receiver Collar on your dog within 90 seconds of removing it from the Collar Charger. If you wish to use the PerfectFit ™ test after 90 seconds have passed, place the Receiver Collar back on the charger for 5 seconds. Remove the collar and allow it to complete the ReadyTest ® before placing it on your dog. The Receiver Collar Status Indicator Light along with the Receiver Collar Alarm Tone are used to determine the operational mode, the battery status, and the correction type. Refer to the Receiver Collar Status Indicator Table below to understand the status lights and tones for the Receiver Collar. During normal operation, the Receiver Collar Indicator Light will flash every 3 seconds to indicate the battery status as shown in the table below. Anti-Linger Prevention keeps your dog from staying in the Warning Zone for long periods of time and draining the Receiver Collar battery. Your dog will hear a two second warning tone when he reaches the Warning Zone. If your dog does not return to the Pet Area after two seconds, he will receive a continuous static correction until he returns to the Pet Area. Run Through Prevention includes a unique “run-through” prevention so that your dog cannot escape the Pet Area without receiving an increased level of Static Correction. The Receiver Collar automatically increases the Static Correction when your dog continues more than 1 ⁄ 3 of the way through the pet fencing Field Width. 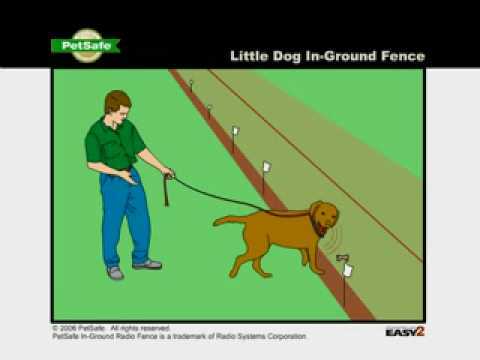 For example, if the signal is detected 12 feet from the wire and your dog enters the Static Correction Zone, this feature is activated when he is approximately 8 feet from the Boundary Wire. Your dog will then receive a Static Correction that is at an increased level corresponding to the Static Correction level setting on the Fence Transmitter. Over Correction Protection limits static correction duration to 10 seconds in the unlikely event that your pet “freezes” in the Static Correction Zone. While the system locks out further Static Correction, the green light will remain on for 10 seconds before resuming the correction with tone for another 10 seconds. This pattern will repeat for a maximum of three cycles, a duration of 60 seconds, or until the pet leaves the Static Correction Zone. Lightning strikes that occur even several miles away from your installation can create power surges or spikes which may damage your unprotected electronic pet containment system. 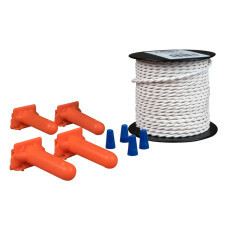 The Surge Protector included with this system is designed to protect your In-Ground Fence™ from surges or spikes that can reach it via your AC power connection and/or your buried Boundary Wire. Turn the power OFF to the outlet that the Surge Protector and Fence Transmitter will be plugged into. We recommend that, if possible, you use the outlet center screw that holds the cover plate in place to secure the Surge Protector to the outlet. To do this, tape the top of the cover plate to the wall, then remove the cover plate center screw. Plug the Surge Protector into the lower outlet and then secure the cover plate using the longer screw included with the protector. The screw is for mechanical attachment only and does not ground the protector. Remove the tape and turn ON the power to the outlet. Run the Boundary Wire through a window, under a door, through a crawl space vent, or any other appropriate available access. You can also drill a hole through your wall. Strip 3 ⁄ 8 inch of insulation from the ends of the Boundary Wire. Insert the stripped ends into the 2 left red connector holes on the bottom of the Surge Protector labeled “Loop.” There should be 1 wire in each connector hole. Depress the plastic tab, insert the wires and release the tab. Make sure the wires do not touch each other at the terminals. Verify that the boundary loop and transmitter wires connect to the proper Surge Protector terminals. Reversed connections will result in an increased risk of surge related damage. Pull the tab on the Fence Transmitter to the left to insert the opposite ends of the twisted wire into the Loop Wire Terminals. Turn the Field Width Control knob to the 9 o’clock position. Plug in the Transmitter power adapter to the outlet on the front of the Surge Protector and turn the Fence Transmitter ON. The Indicator Light on the Transmitter should illuminate to green indicating a properly installed boundary loop. If this does not happen, refer to the Transmitter Status Indications label underneath the Transmitter lid or see the “Troubleshooting” section in this guide. For added protection, when unused for long periods of time or prior to thunderstorms, unplug from the wall outlet and disconnect the Loop Boundary Wires. This will prevent damage to the Transmitter due to surges. With the Boundary Wire in place and properly connected and the Receiver Collar fully charged, it is time to test the system. This step needs to be completed for both YardMax and Traditional Modes. To prevent an unintended correction for your pet, test the boundary location and width after any change. Testing the system ensures you have signals in proper direction to contain your pet. If wire is reversed, go back to Fence Transmitter and swap the wires going into red and black connectors. Remove the Receiver Collar from your dog. Set the Boundary Width Dial to 3. 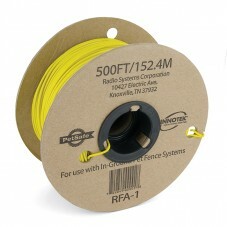 Select a section of straight Boundary Wire that is at least 50 feet long. Set Receiver Collar to Correction Level 6. Place the Test Light Tool Contacts on the Contact Points of the Receiver Collar. Hold the Receiver Collar with the Contact Points pointing up on the receiver facing the Boundary Wire. Start inside the Pet Area approximately 5 feet from the Boundary Wire. Test the Boundary by approaching and crossing the boundary wire as shown. 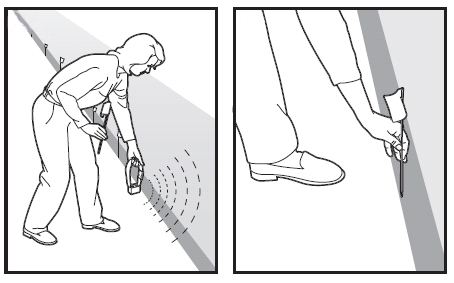 As you cross the wire, you will hear the Warning Tone and see the test light flash as you continue to walk further. If you don’t hear the warning tone, turn around and walk back across the Boundary Wire into the Pet Area to see if it tones in that direction as the wire may be reversed. If so, reverse the wires at the connector to the Fence Transmitter. Do not adjust the wires connected to the Surge Protector. Then, repeat the test. After verifying Receiver Collar operation at the boundary, use the labels to identify the wire connections to the Fence Transmitter and the Surge Protector. This will be convenient to have should any of the wires become disconnected. In YardMax mode, excessive snowfall (>1 .5 ft) may place your dog outside the signal field allowing your dog to leave the Pet Area. You may need to switch to Traditional Mode or increase the boundary width until the snow recedes. Verify that Fence Transmitter ¡s set to Mode A, Yard Max mode. Power the Fence Transmitter ON. Set the Receiver Collar to Level 6. Place the Test Light Tool contacts on the Contact Points of the Receiver Collar. Hold the Receiver Collar with the Contact Points pointing up (7C), facing the Boundary Wire. Hold the Receiver Collar 1 to 1 1/2 feet above your dog’s neck height. If you have multiple dogs, use the neck height of your tallest pet. Note: Minimum adjustment height is 30 inches. Toy breeds less than 15 inches in height, set Boundary Width Dial on Fence Transmitter to #1 position. Begin with the Boundary Width Dial on the Fence Transmitter set to the #1 position. Start inside the Pet Area, slowly approach the Boundary Wire, when you cross the Boundary Wire, the Receiver Collar should tone. If this is too low and you do not hear the tone or see the test light flash, increase the transmitter dial setting by 1. Keep adjusting the transmitter dial until it is set where the Receiver Collar tones only when it is within 1 to 1 1/2 feet above your dog’s neck height at the boundary. Once this setting is determined, set Fence Transmitter to Mode B, Traditional Mode. Hold Receiver Collar as close to the ground as possible. Walk all over the Pet Area where the pet should be free to play. If you come across areas where the Receiver Collar activates with tone and or Static Correction, you will need to try adjusting your layout where the Boundary Wire crosses cable, telephone, or power wires. If you still cannot correct this problem, you will need to use the Traditional Mode Transmitter setting for your layout. If your layout checks out well, and you plan to use YardMax mode, slide Fence Transmitter switch back to A, YardMax’ mode. Adjust your Receiver Collar setting to Level 1 for tone only training. Once you are satisfied that your system is functioning properly, you are ready to start burying the Boundary Wire. Set Fence Transmitter Mode (NB) Switch to B (Traditional Mode). Set the Boundary Width Dial to the 7 as the starting position. 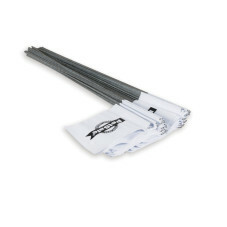 Test the Boundary Width by selecting a section of straight Boundary Wire that is at least 50 feet long. Start inside the Pet Area. Place the Test Light Tool Contacts on the Contact Points of the Receiver Collar. 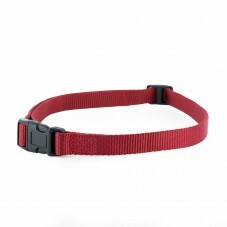 Hold the Receiver Collar with the Contact Points pointing up, at your dog’s height, and facing the Boundary Wire. Starting inside the Pet Area, slowly approach the Boundary Wire until you hear the warning tone (8A). When you hear the warning tone, you have identified the Boundary Width distance (Static Correction Zone). Two seconds after the warning tone, the test light will begin to flash. To avoid having the Receiver Collar go into Over Correction Protection mode, walk back into the Pet Area until the beeping stops. Adjust the Boundary Width Dial so that the Receiver Collar tones within the desired range of the Boundary Wire. To best use the automatic Run- Through Prevention feature, the Boundary Width should extend at least 10 feet from the Boundary Wire (total Boundary Width of 20 feet). Test in a number of different locations around the pet area until you are satisfied that the system is functioning properly. Next, walk all around the pet area to ensure there are no areas where the Receiver Collar may activate from signals coupled onto buried wires or cables. Test the collar in and around the inside of the house as well. 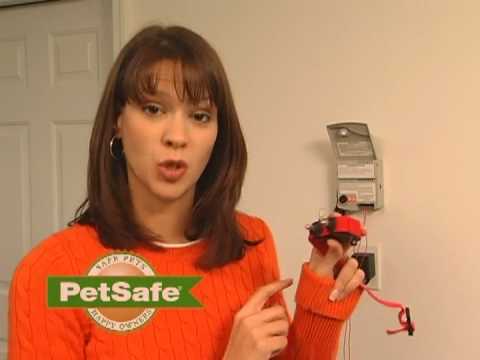 As mentioned, cable and wires from cable TV, electrical, or telephone lines may conduct pet fencing signals inside and outside the house that can activate the dog’s collar accidentally. While rare, if this occurs, your Boundary Wire should be moved or modified where it crosses these outside lines. To test the run-through prevention feature, walk beyond the Boundary Wire. The Receiver Collar should tone and the Test Light should flash. If the Receiver Collar did not tone or the Test Light did not flash, see the “Troubleshooting” section. Underground cables can carry high voltage. Have all underground cables marked before you dig to bury your wire. In most areas, this is a free service. Avoid these cables when you dig. Before you begin installing the Boundary Wire, turn the Fence Transmitter OFF and unplug the adapter from the Surge Protector. Burying the Boundary Wire is recommended to protect it and prevent disabling the system. Cut a trench 1-3 inches deep along your planned boundary. Place the Boundary Wire into the trench maintaining some slack to allow it to expand and contract with temperature variations. Use a blunt tool such as a wooden paint stick to push the Boundary Wire into the trench. Be careful not to damage the Boundary Wire insulation. 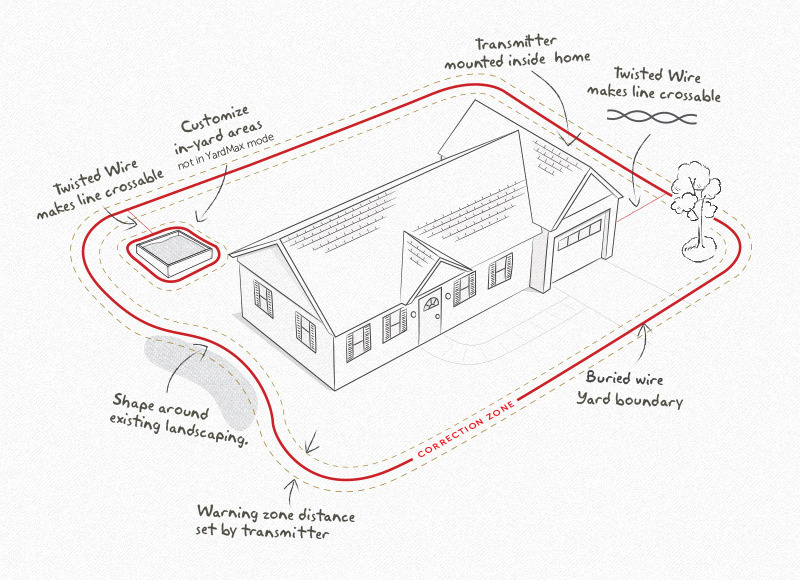 The Boundary Wire of the PetSafe ® In-Ground Fence ™ can be attached to a chain link fence, split rail fence, or a wooden privacy fence. The Boundary Wire can be attached as high as needed. However, make sure the Field Width is set at a high enough range for the pet to receive the signal. If using a Double Loop with an existing fence at least five feet tall, run the Boundary Wire on top of the fence and return it on the bottom of the fence to get the five foot separation needed. Chain Link Fence: Weave Boundary Wire through the links or use plastic quick ties. Wooden Split Rail or Privacy Fence: Use staples to attach Boundary Wire. Avoid puncturing the insulation of the Boundary Wire. Double Loop with an Existing Fence: Run the Boundary Wire on top of the fence and return it on the bottom of the fence to get the five foot separation needed. Gate (Single Loop): Bury the Boundary Wire in the ground across the gate opening. Note: The signal is still active across the gate. Your pet cannot pass through an open gate without receiving a correction. Gate (Double Loop): Bury both Boundary Wires across the gate opening while keeping them five feet apart. 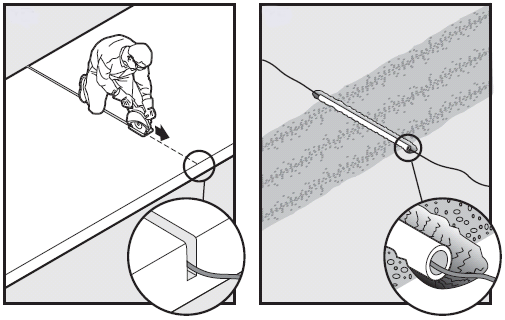 Concrete Driveway or Sidewalk: Place the Boundary Wire in a convenient expansion joint or create a groove using a circular saw and masonry blade. 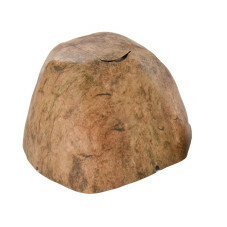 Place the Boundary Wire in the groove and cover with an appropriate waterproofing compound. For best results, brush away dirt or other debris before patching. Gravel or Dirt Driveway: Place the Boundary Wire in a PVC pipe or water hose to protect the Boundary Wire before burying. The flags are visual reminders for your pet of where the Warning Zone is located. The flags should go just inside of the boundary zone along the wire. Place the Boundary Flag along the Boundary Wire approximately 6 inches inside the Pet Area. Place a flag in the ground every 10 feet. Your YardMax Receiver Collar also works with our Pawz Away° deterrence products to keep your pet away from areas inside or outside your home. The Pawz Away Pet Barriers are easy to operate and you can use more than one to protect multiple areas. Purchase the Pawz Away Pet Barriers by scrolling down to Accessories or by calling our Customer Care Center. Please note that the YardMax collar tone-only mode doesn't work with Pawz Away barriers; the collar will deliver the first level of static correction even if it is set to tone-only mode. 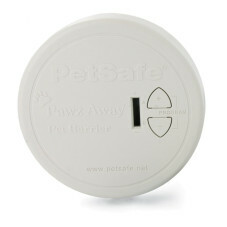 The Pawz Away Mini Pet Barrier (PWFOO-14040) transmits an elliptical radio signal adjustable up to 5 feet. Pinpoint off-limit areas for pets indoors or outdoors with this discreet battery operated, waterproof barrier. The Pawz Away Indoor Pet Barrier (ZND-1 000) protects many areas inside your home and can teach your pet to stay off of furniture, away from trash or out of certain rooms. The small, battery operated Indoor Barrier fits discreetly inside your home and protects a circular area up to 12 feet in diameter. The Pawz Away Outdoor Pet Barrier (RFA-378) teaches your pet to avoid areas in / your landscape. The waterproof and battery-operated Outdoor Barrier is disguised as a rock to blend into your landscape. It can wirelessly protect a circular area up to 16 feet in diameter or protect a custom shaped area using up to 150 feet of Boundary Wire. A step-by-step guide with tips and troubleshooting for training your dog to understand and respect your new PetSafe little dog in-Ground radio fence. Proper training of your pet is essential to the success of your PetSafe fence system. The loop light goes off and the Transmitter starts beeping when a wire break is detected. Try a System Test to check to see if your wire is broken. The Receiver Collar is not beeping or administering a Static Correction. Check that the Transmitter is plugged into a working AC outlet, and the Power Light is on. For YardMax fences in YardMax mode, excessive snowfall (over 1.5 feet) may place your dog outside the signal field. Switch to Traditional Mode or increase the boundary width until the snow melts. The collar is not charging. 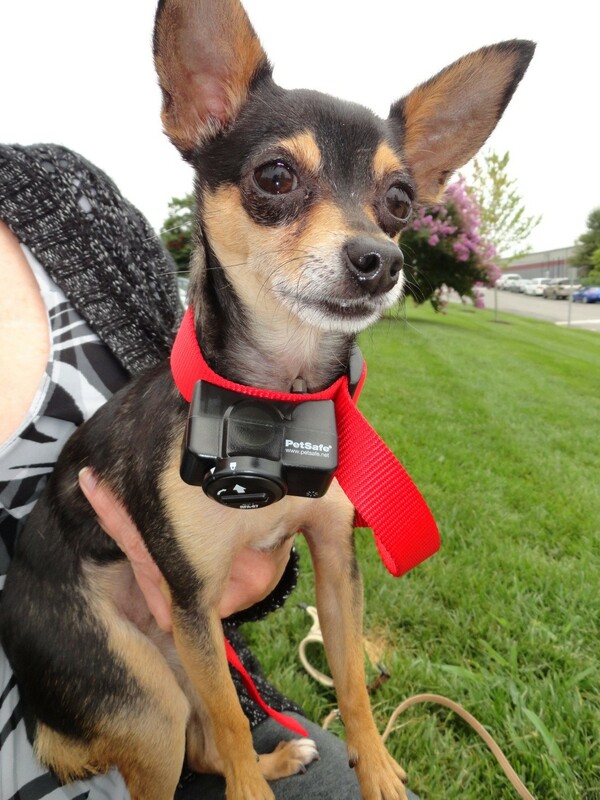 Check that the Receiver Collar is properly seated on the Collar Charger with PetSafe ® logo facing up. Verify that the contact on the Collar Charger is clean and that there is no coating on the Receiver Collar Contact Points. Check that the Receiver Collar strap is not pushing the receiver up off of the Collar Charger. If the Indicator Light on the Receiver Collar still does not glow red when placed on the Collar Charger, there is a problem with the Collar Charger. If the Indicator Light glows red when placed on the Collar Charger but goes out after removing the Receiver Collar without performing the ReadyTest®, there is a problem with the Receiver Collar. Call the Customer Care Center. In YardMax mode, the Receiver Collar corrects within the Pet Area. Check and make sure that the receiver activation height is not greater than 1 ½ feet above the dog’s neck height when crossing the Boundary Wire. There could be an inconsistent signal due to close proximity to telephone wires or television cables etc. Readjust boundary wires where crossing buried cables. In YardMax mode, the collar corrects my pet when he returns to the Pet Area. Make sure yardMax Fence Mode Switch is set to A. Reverse the wires connected to the transmitter. The collar activates inside the house. Make sure the boundary wire is not running within 15 feet of the house. The signal can transmit through your home's walls. Make sure boundary wires are twisted from the boundary to the transmitter. (Traditional Mode only) Turn the Boundary Width Dial to decrease the distance from the boundary wire that the collar activates. No status light on the Fence Transmitter and alarm is silent. Verify the transmitter power is ON. Check that the Power Adapter and/or Surge Protector are plugged in properly. 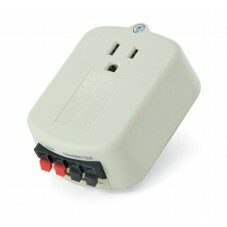 If the system is plugged into a GFCI outlet, check to see if the circuit has been tripped. Reset GFCI circuit if required. Verify that the outlet is working properly by plugging in a known working item such as a radio. 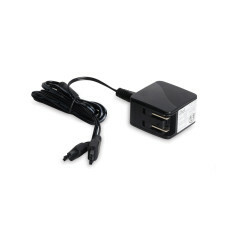 If a Surge Protector is installed, unplug the Surge Protector and plug the Power Adapter directly into the outlet. If the transmitter operates without the Surge Protector, contact the Customer Care Center for a replacement Surge Protector. 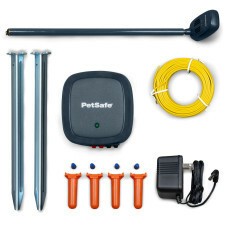 If you are having an issue with your PetSafe in-ground pet containment system not working properly, performing a short loop test can help diagnose whether the problem is with your fence transmitter or a wire break underground. How can I check to see if the Surge Protector is providing power? The surge protector can easily be tested by plugging in a radio or lamp and checking to see if it provides power to the device. If it does not provide power, please check the protector with a different power outlet. How can I check to make sure the Surge Protector is completing the loop? Buy or borrow a multimeter, a handheld device that reads and measures electrical current. You can find them in most home hardware stores. Test the resistance between the left LOOP terminal and the left TRANSMITTER terminal. It should read less than 10 ohms. Test the resistance between the right LOOP terminal and the right TRANSMITTER terminal. It should be less than 5 ohms. A resistance greater than that indicates a failure may have occurred. Contact our Customer Care Center for more troubleshooting help.